Bizbilla is the world's leading B2B E-commerce marketplace connecting manufacturers, suppliers, exporters, importers, buyers, sellers, service providers, dealers, distributors, wholesalers, trade agents and individuals worldwide and enables them to do their business online easily. It is mysterious when we hear people feeling regretted about the unemployment, bad economic situation, etc. But most of us forget to analyze our own strengths and expertise. We people have lot skills hidden inside us but we ignore to recognize our covered talents without knowing that they are money makers. We may have some people around us who have an extraordinary creative mind and they might have the hobby of making crafts. They will have their home decorative made by themselves but lags to think about turning those hobbies into money. They generally have a thought that nobody will show interest to buy their product. But today internet has given its helping hand to expose such talents and earn money. This does not even need much of investment as this does not require any sort of machinery or other costlier equipment. If you are a creative person and have an artful talent then don’t waste time, just start trying these art and craft business ideas for your income. Embroidery is an ancient needle of art and the trending business today as most of the people wish to use embroidered clothes and accessories. It is a value added business in the field of garments decoration. 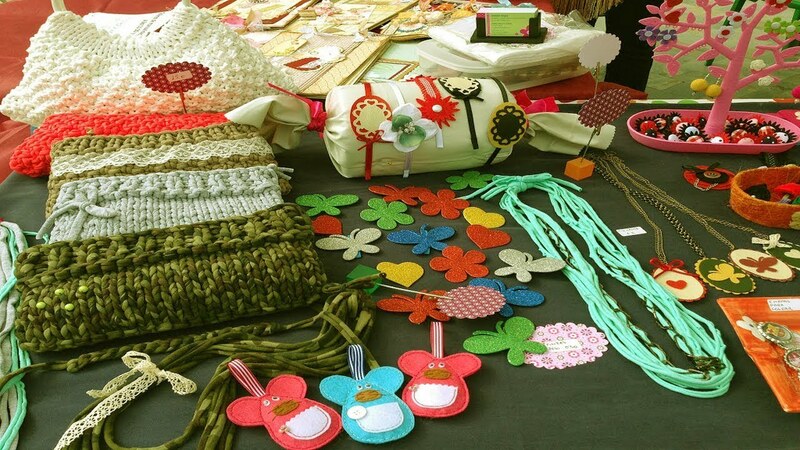 It is the process of decorating the fabric using a special sewing machine, multiple needles, and threads or yarns. This can also be made in hand without the use of sewing machines. One can handle this part time or full time. It is not only used for fabrics but also for other home decors, bags, etc. Calligraphy is the visual art. It can be simply said as playing with letters. People look for calligraphy when they would like to add a special touch to their brand, or the invitations for any events. If you really rejoice on making fine arts with letters, there is a great opportunity for you to earn better. Greeting cards are not just cards, they have the capability of expressing friendship, love and other sentiments. Despite of social media and other medium to share the feelings greeting cards plays major role in bringing mind into optics. There are two types of greeting cards. One is digitally printed and the other is hand made. Both are hugely accepted all over the world. This business only need your creativity as the investment. Starting a jewellery business is not a rocket science. If you are fond of ornaments or fashion accessories, you may consider to become a jeweler. Because one who is fond of something will analyze more about the same and have better knowledge about it. Jewellery trade easily picks up online and even in the local craft shop. As both men and women are attracted towards fashion ornaments, it is one of the easiest business to take up. If photography is your hobby and very passionate about it? Plan to do it as a business. There are many ways to take your passion into business. You can sell your photographs online. Or you may focus on the areas such as wedding photography, photography, nature photography, etc. A picture can speak what the words cannot speak. This is absolutely true in the field of photography. All you have to spend your money is for a perfect camera. Painting here not only makes sense for painting houses, wall painting, painting furniture etc. but also means sketching the picture or the face of a customer, glass painting, etc. Explore your interest in painting and start earning good cash. If you are genius in revamping the old toys or things to new one, no doubt its works out to earn a good cash. If people are really fascinated by the toys you make with the old or existing materials that you already have undoubtedly they will become a regular customer for you. Candles are highly required by various people for various purposes like event decorations, religious houses, even for homes. Scented and decorative candles are of high demand. Candles creates excellent opportunity to make money off. Everybody know that people are ready to do anything to make themselves look better. A brush in the hands of a makeup artist has the power of changing one's appearance. These changes can be created with the combination of makeup, specialized tools the endowment of the makeup artist. Makeup artists can make a person confident about his/her appearance and fill them with spirit. Do you have writing skills? You can turn it into money if you would like to write frequently. Your content may target anything in the society like religion, events, stories, biographies, social issues, etc. Finally, apart from creativity, when it comes to business it must have a clear marketing strategy. Online market places and social Medias provides various paths to promote your business.Try to turn out your precious time and talent to money. Visit Bizbilla B2B's profile on Pinterest. Where can I post my B2B services for free? GO to support SMEs to recycle non-biodegradable products. Bizbilla.com. Picture Window theme. Powered by Blogger.